Cut the top off of the oranges and limes. Carefully remove the pulp inside with a sharp knife and spoon without breaking the peel. This is the bowl for your ice cream. Freeze the citrus “bowls” overnight. 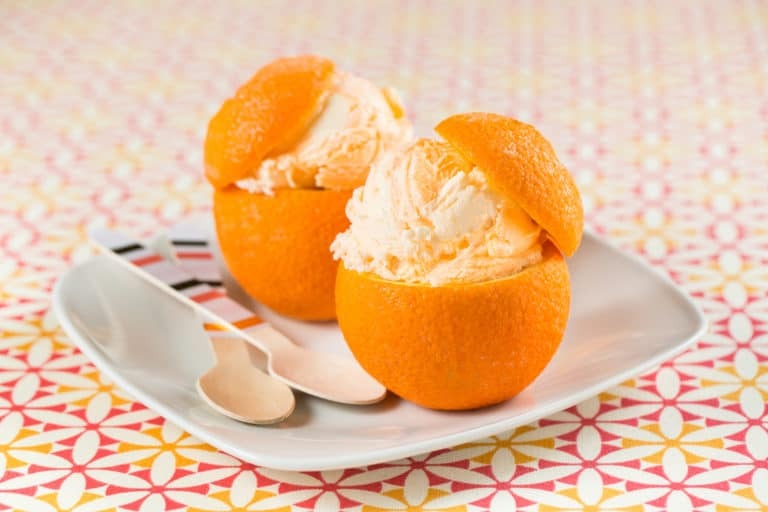 Before your event, fill the oranges with Orange Cooler ice cream and the limes with Cherry Limeade Sherbet. Return the citrus cups to the freezer and continue freezing till you are ready to serve.